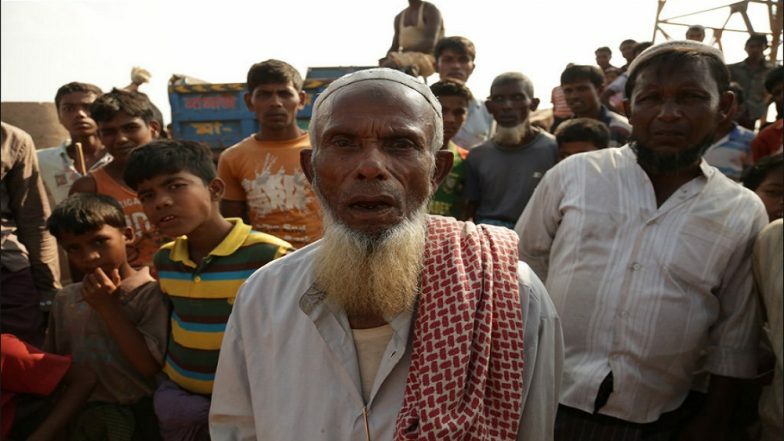 Dhaka, April 7: A Rohingya rights group in Bangladesh on Sunday said more than 20 people were killed and 50 were injured during an air strike on April 3 by the Myanmar Army on members of the ethnic group in Rakhine state, contradicting the government version of the incident. The Arakan Rohingya Society for Peace and Human Rights (ARSPH) said innocent Rohingya villagers were gathering bamboo in streams near Phon Nyo Leke when Myanmar military helicopters flew low overhead and shot at ordinary Rohingya making rafts in the river, reports Efe news. "More than 20 people were killed and over 50 were injured. Many people had arms and legs blown off by the bombs," the ARSPH said in a statement. Headed by former school teacher Mohammad Mohibullah, the ARSPH was formed by Rohingyas following the exodus in 2017 to champion the cause of the persecuted Muslim community. "The genocidal military issued a statement on April 5, saying that only six Rohingyas were killed because they are working with a terrorist group," said ARSPH. Bangladesh Proposes Creation of Safe Zone for Rohingyas In Myanmar's Rakhine. "This is completely false information," it said, adding that it was evidence that the military continues "to take every opportunity to clear all Rohingya from their homeland and complete the genocide that they started 40 years ago". The Myanmar Army confirmed the death of six Rohingya, who according to the military, collaborated with the rebels of the Arakan Army (AA), during an air strike against a bastion of insurgents in the west of the country. The UN, which accuses the armed forces of "intentional genocide" for the operation against the Rohingya, indicated this week its "deep concern" about the recent clashes. More than 738,000 Rohingya refugees have fled violence in Myanmar's Rakhine state since August 2017, while 200,000 members of the community had earlier escaped to Bangladesh. Most refugees live under harsh conditions in Bangladesh's Cox's Bazar area, near the Myanmar border, that has become the biggest refugee camp in the world. Myanmar does not recognise the Rohingyas, a mostly Muslim minority, as its citizens and considers them Bangladeshi immigrants, although Dhaka has also treated them as foreigners.